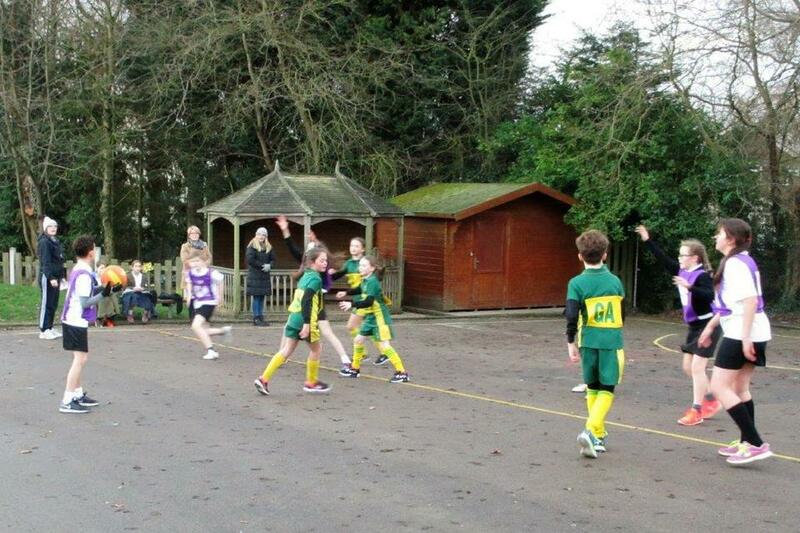 On Monday 25th all 17 children from netball club went to Great Baddow to compete in the regional competition. Our Year 6 team of Elle-Mai, Tessa, Freya, Maddie, Stan, Tom, Tyler and Tilly (from Y5) played some great netball, had lovely team spirit and scored some amazing goals, finishing a very impressive 3rd overall. Our Year 5 team of Emily, Dani, Amy, Olivia C, Olivia B, Abel, Jayden, Sam and Emilia did an amazing job at their first tournament, played as a team, kept smiling and finished a brilliant 5th. Well done everyone, and thank you for all the support from the parents on the side line, it was much appreciated by the children, Mrs Freedman and Mrs James. St John’s played their third netball league game against Meadgate Primary. Just as they did in their previous 2 games, the children worked hard as a team, showed excellent skills especially in defence and scored some lovely goals. A well-deserved win. Final score 7-4. Well done to: William S, Asher B, Jordan F, Anna J, Gabby S, Freya D and Sydnie J. On Wednesday 9th May, St John’s played Danbury Park in their first netball league game of the season. It was a close match, full of good defending, accurate passing and some lovely goals. Well done to: William S, Asher B, Jordan F, Gabby S, Anna J, Evie W and Freya D. Final score - St Johns 6, Danbury Park 3. Thank you to all the parents, pupils and staff for supporting the team. St John’s entered 2 teams into the Chelmsford netball tournament. For many of the children, it was their first competitive matches. All the children played so well and gained more confidence with each game. There were lots of goals scored and a lot of great interceptions made. Well done to Asher B, William S, Jordan F, Sydney J, Gabby S, Anna J and Freya D who finished in 3rd place and well done to Wayne S, Robert B, Oliver P, Evie W, Tessa H, Keeley S and Kimberlee H who finished in 4th place. A big thank you to all the parents and children who came along to support and cheer on the teams. On Friday 9th June St John’s played their final league match of the season against East Hanningfield. The team showed terrific team work throughout along with great defending and some wonderful goals. Final score 25-1 to St John’s. Well done to Klara G (captain) Maddie W, Hermione W, Fuschia P, Lucas A, Maurice L and Callum C. Thanks to all the parents and pupils who came to support us and cheer us on. We now await the league positions. On Thursday 8th June St John’s played their 3rd league match against a well organised and strong Meadgate team. Their performance was terrific. There was great defending, some amazing goals and brilliant team work. The match was played in a competitive yet fair manner. Final score was 12-6 to St John’s, it was a well-deserved win. Well done to Maddie W (captain) Mia F, Hermione W, Fuschia P, Lucas A, Maurice L and Callum C. Thank you as always for all the support from parents and pupils. On Monday 15th May St John’s netball team played their second league game of the season against St Peter’s. After a first tough quarter, their confidence grew and their team work improved. They got the score level to 3-3 with 1 quarter to go. They played very well but unfortunately found it hard to get possession from a very strong and confident St Peter’s defence. Final score 3-5 to St Peter’s. A huge well done to Maurice L (captain), Lucas A, Callum C, Maddie W, Mia F, Fuschia Pand Hermione W. Thank you to all the parents who came along to support the children. On Wednesday 10th May, the St John’s netball team played their first league match of the season against Danbury Park. They worked well as a team showing some good attacking and defending skills and their confidence grew with each quarter they played. The final score was 12 - 1 to St John’s. Well done to - Hermione W (captain) Maddie W, Fuschia P, Klara G, Maurice L, Lucas A and Callum C. Thank you to all the parents, pupils and staff who came to support and cheer the children on. The next match is on Monday 15th May! 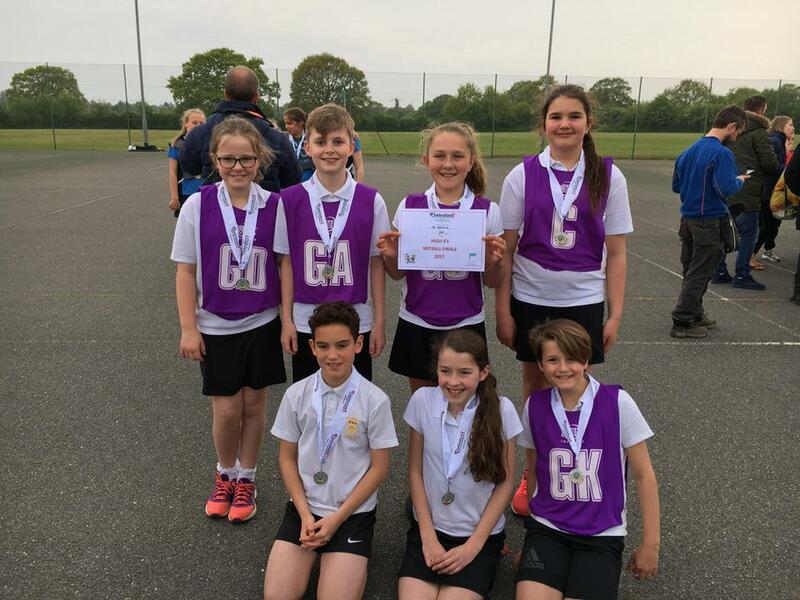 Both the A and B teams qualified for the Netball finals earlier in the year and on Tuesday 2nd May they took part in the competition at Great Baddow. All the children were very excited to be part of the finals and enjoyed the experience. The B team faced some hard oppositions throughout their pool stage, but gained more confidence as each match was played. They won against Danbury Park in their play-off match and finished in 11th place. Well done to: William S, Jordan F, Asher B, Keeley S, Jess K, Annabel N, Klara G and Chloe B. The A team took some time to get into their stride but finished their pool in 1st position. They went onto the semi-final where they beat Great Waltham and then moved onto the final where they played a very experienced team from St Cedds. Unfortunately they were beaten at the final hurdle, finishing runners up in the competition. A massive well done to Mia F, Maddie W, Hermione W, Fuschia P, Lucas A, Callum C and Maurice L. What a great achievement - 2nd out of 60 Chelmsford schools! Thank you to the large volume of parents who transported the children to the competition and for all their support and cheering! It got a bit nervy at times!!! 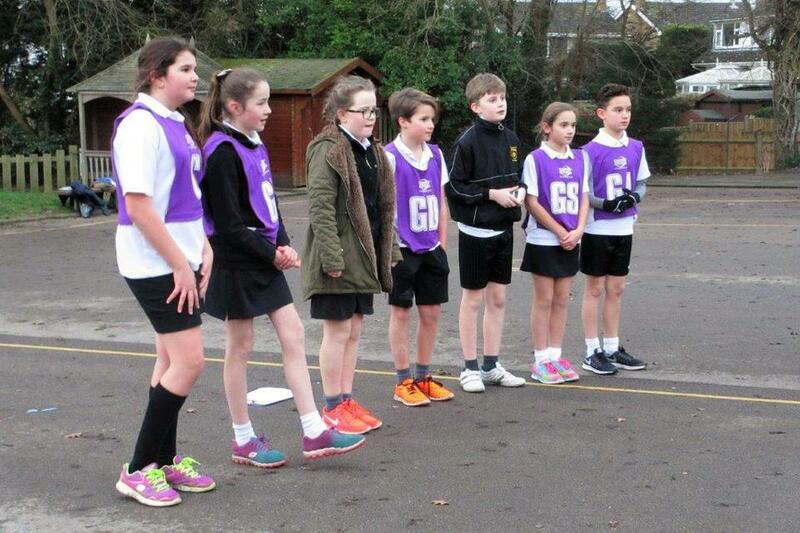 On Monday 13th March, 2 teams from St John's netball club took part in the Chelmsford partnership High 5’s competition. The children who took part were very excited and all played really well. They worked hard as a team, showed some great defending and attacking skills and also shot some terrific goals. The B team won 2 games, drew 1 game and lost 1 and finished 2nd in their pool. The A team won all 4 of their matches, conceding only 2 goals in the competition. As winners of their pool, the A team now go through to the netball finals in May. Well done to: Maurice L, Lucas A, Callum C, Hermione W, Mia F, Maddie W, Fuschia P, Asher B, William S, Jordan F, Sophia G, Jess K, Annabel N and Keeley S.
Thank you to all the parents and children who transported the children and for their wonderful support and encouragement and to Mrs James and Mrs Hall for managing the teams. Well done to the St John’s Netball team who played their first competition match against St Peter’s Primary on Wednesday March 8th. Unfortunately it was a 10-3 loss but the team played exceptionally well. Team: Sam S, Mia F, William S, Sophia G, Hermione W, Jordan F and Maddie W.
St John’s played in their first netball match of the academic year. It was the first competitive match for many of the children as they nervously faced a terrific team from St Peters. They played in difficult conditions, battling with the cold and heavy wind. However, this did not dampen their spirits and they showed a lot of terrific attacking and defending skills. Final score St John’s 8, St Peter’s 5. Well done to Lucas A, Maurice L, Callum C, Mia F, Maddie W, Klara G and Fuschia P. A great start to the netball season. St Johns played their final league match on Thursday against St Peters and finished the pool stages in style. A terrific win which ended 17-2 to us and another wonderful performance by the team. Well done to Josie H (captain), Lucy H, Chantel H, Kerry S, Finley W, Cayden G and William B. On Thursday St John’s Netball Team played a match against Meadgate. It was a terrific match, full of great attacking and defending from both teams. The children showed wonderful teamwork and terrific sportsmanship. Well done to Lucy H(captain) Josie H, Kerry S, Chantel H, William B, Finley W and Cayden G. Final score St Johns 17, Meadgate 3. 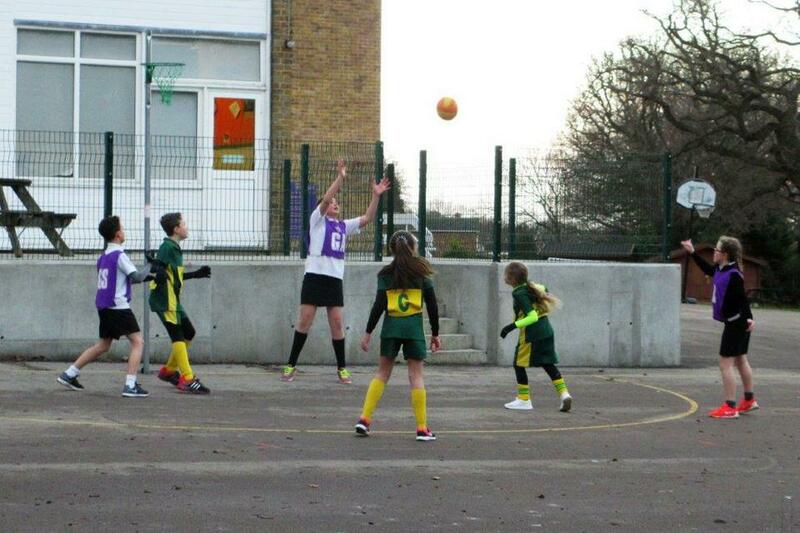 St Johns netball team played their second league match of the season against Danbury Park on Wednesday. It was an entertaining match, full of terrific attacking and defending and I was very impressed with the team work of our players. A huge well done to Cayden G (captain) Finley W, William B, Lucy H, Josie H, Kerry S and Chantel H for their 19-0 result. Thank you to all the parents, teachers and pupils for coming along to support our team. 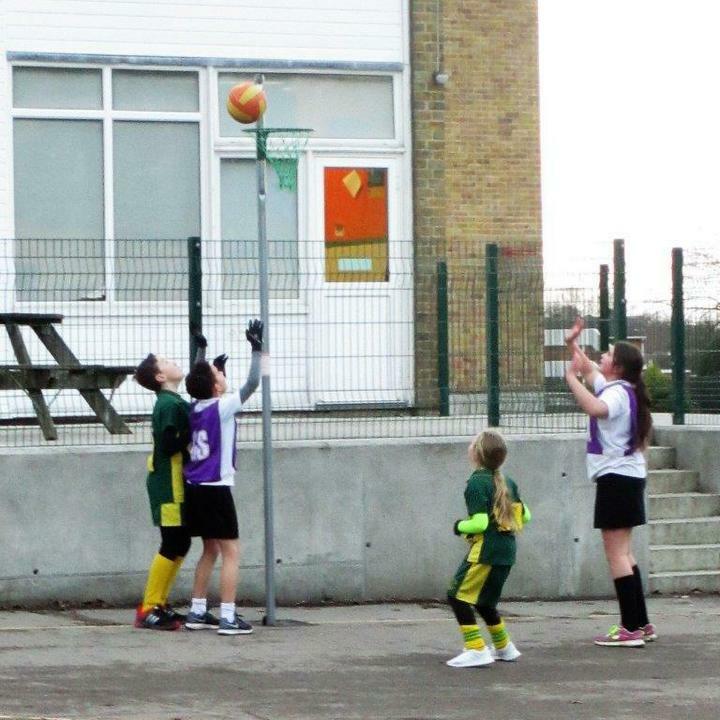 St John's netball league got off to a great start this year with a terrific win over East Hanningfield. A wonderful game full of terrific skills and great team work. A huge well done to Finley W, (captain), Cayden G, William B, Lucy H, Josie H, Kerry S and Chantel H. Final score East Hanningfield 4, St Johns 12. Next match at home v Danbury Park, Wed 11th May 3:30, please come along to support us. St John's netball team took part in the Chelmsford school sports finals competition. The children performed brilliantly at the earlier round and throughout the finals it was no different. Game by game their confidence grew as did their team work. They won 4 out of their 5 pool games and finished in third place. They then went onto the semi-finals which they won and then their final match they came across a well organised team who narrowly beat them. Final place 6 out of 12, a fantastic effort by all. A huge well done to Lucy H, Josie H, Kerry S, Chantel H, Esme J, William B and Lucas A who yet again did our school proud. Thank you to all the parents for their support and encouragement. 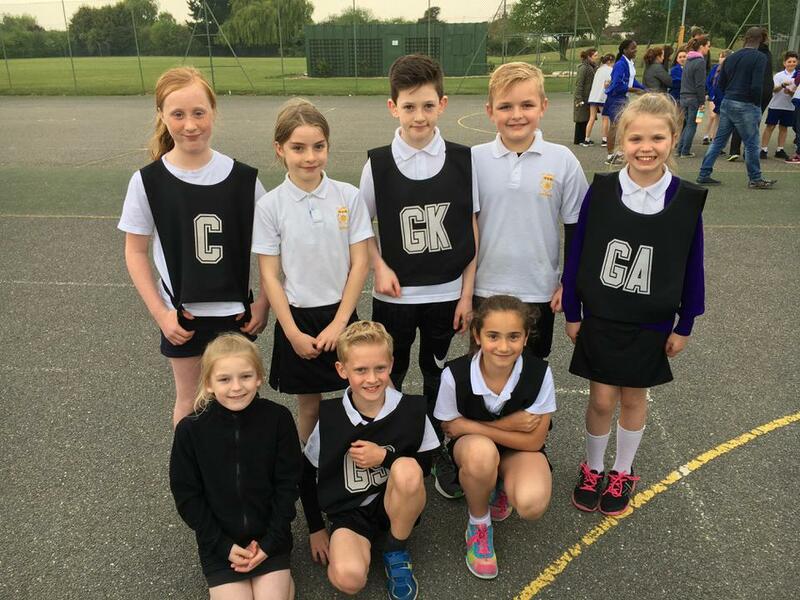 What a way to start off the new netball season .... 7 children from years 5 and 6 represented St John’s in the Chelmsford School Sport Partnership on Wednesday 16th March. William B, Lucas A, Lucy H, Josie H, Kerry S, Chantel H and Esme J stunned all the teachers and parents with their fantastic skills and above all their terrific team work. They won all their matches in their pool, did not have any goals scored against them, finished in 1st place and now go through to the Netball Partnership Finals in April. A brilliant result - Mrs Samuel, Mrs James and Mrs Hall are all extremely proud of you all. Well done!